I love your covers. They’re beautiful. These were fun questions. I’m glad you didn’t say, “I’ve never seen Star Wars.” LOL. Thanks for sharing some of yourself with the readers. Linda- I loved your Montana Bound series! I can’t wait to read the novella! I hope your writing dreams come true- you are a fantastic writer!! Very interesting answers! It’s fun getting to know more about Linda! Thanks for stopping by Cheryl! 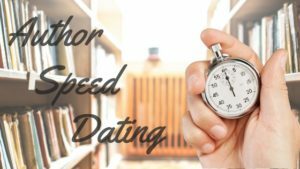 I had fun answering the #authorspeeddating questions. Fun, but seriously…I loathe the spinning teacups. Great to see Linda here! Loved your answers Linda! You are a very talented writer, and I love your books. Can’t wait to read the next one now that it’s summer. Love hearing your thoughts Linda! You are amazing! Thanks for sharing. Glad to learn more about you! LOVE, LOVE, LOVE Linda’s books. I can’t wait for the next adventure she conjures up for her characters. Linda is a gifted author…you will fall in love with Maggie and all the lovable characters who come in and out of her life. A wonderful series, highly recommended! Love everything about your writing, feel like we all know a Maggie or Chloe, look forward to following the Montana adventure. So glad you bought the bag in the Denver airport. No spinning rides, love the roller coasters, and you write the story before the synopsis. If I hadn’t read your series already, this post would have led me to it. These fun questions show your good humor. No wonder your writing draws me into your stories. You will fall in love with all of the characters in The Montana Bound series! 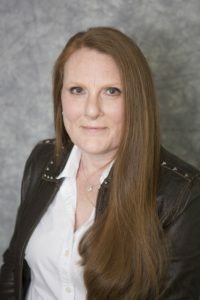 Linda is a talented author and I can’t wait to read the Christmas novella you will be self-publishing!! Interesting answers to Dana’s questions. Your “Mountana” series sounds wonderful, Linda. Good lunch with the new one. It’s been a long time since I couldn’t put down a book I was reading. Your Montana Bound Series kept me up all night !! Love, love, love the series! You are definitely one of my all time favorite authors! Love all the books and so glad I was able to share them with my mom. She loved them, too! I hope all your dreams come true. 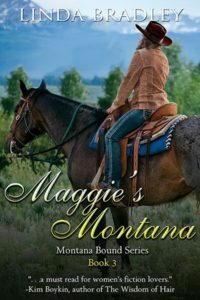 I absolutely love The Montana Bound series! All of the characters and the plots are so well developed that I couldn’t put the books down. I can’t wait to read more from you in the future and see your name on the New York Times bestsellers list! Sorry I’m late to the party but such fun reading your answers. I’m am really looking forward to your Christmas novella. Congrats are self-publishing! Keep those great stories coming!